Normally smartphone events are tightly coupled to your phone device itself. When your cell phone is ringing, your phone speaker plays a ringtone. When you get a new text message, your phone displays it on its screen. Wouldn't it be thrilling to make thoses phone events visible somewhere else, on your wearable, in your living room, on your robot, in your office or where ever you want it to occur? Or would you like to use your smartphone sensors, like the accelerometer, light sensor, compass or your touchscreen to control other devices? Amarino is a toolkit, basically consisting of an Android application and an Arduino library which will help you to interface with your phone in a new dimension. You can build your own interfaces almost without any programming experience. Cell phones are great for communication in a virtual manner, but lack expressiveness in personal surroundings. Many people try to give their phones a personal touch by customizing them. Amarino is a toolkit to connect Android-driven mobile devices with Arduino microcontrollers via Bluetooth. The toolkit provides easy access to internal phone events which can be further processed on the Arduino open-source prototyping platform. Started as a project at MIT Media Lab at the High-Low Tech group, this toolkit seeks to empower people to externalize their phone events to creatively demonstrate them on wearables, living spaces, or other tangibles. Do you have any questions about Amarino? Look at our Amarino Discussion Group where Amarino users discuss and help each other. Please cite the original Amarino paper published at MobileHCI in 2010 when you use Amarino in your scientific work. Details about Amarino 2.0 are described in my eBook available on this site. 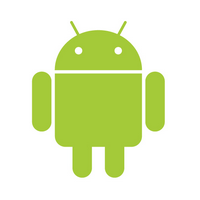 Android - This toolkit is designed to work with smartphones based on the Android open source operating system. The good thing is, you don't need any programming knowledge in Android at all to get started with. You can start right away just by installing our provided Android application on your phone. It comes already with many preinstalled events you can select to send it over to your Arduino. I currently use a Google Nexus 6P - 32GB Graphite for testing my projects. Not really inexpensive but lightning fast. Arduino - Arduino is an open-source electronics prototyping platform (software and hardware) designed to be low-cost and easy to learn. Arduino is well documented and there is a great community supporting it. You will find it easy digging into the Arduino world to learn how to build your own electronics. A great set to start with is the Arduino Uno Ultimate Starter Kit . Yourself - Now since you know what you will need, all you have to do is to download the toolkit, install it and start your first project by connecting your phone to your microcontroller. Control your lights with your phone, display your text messages on a ticker in your living room, make a shirt which vibrates when your phone rings or just implement your own ideas. Don't hesitate to send us a link to your projects build upon Amarino.